Research shows that limited-English proficient (LEP) patients face a significant risk of misdiagnosis, healthcare complications, and unnecessary readmission without professional interpreters in healthcare. You’ve probably seen staff struggle to use interpreters because they don’t understand best practices, perhaps getting frustrated and abandoning the attempt. 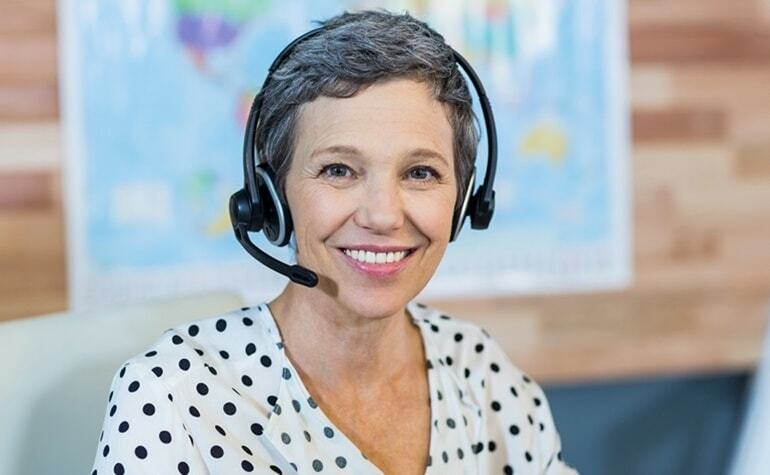 Read this post for tips on using phone interpreters efficiently – it may be helpful to incorporate into future language services training for hospital personnel. Speak to your patient as you would without an interpreter. Make eye contact and try not to look at the phone or screen. Speaking in the first person simplifies the message and helps the conversation flow naturally. Instead of “Tell Mrs. Lin that her test results look promising,” say, “Mrs. Lin, your test results look promising.” The interpreter will mirror your words in-language. Use short sentences and pause between phrases to simplify the message. This improves patient comprehension because interpreters can convey your meaning without having to memorize paragraphs of dialogue at a time. Interpreters will take notes to remember key points, numbers, and dates as needed. Choose straightforward words and analogies. Phrases like “it’s raining cats and dogs” or “on the same page” don’t translate well into other languages due to cultural differences. Using them could confuse a patient and impact their understanding of treatment. If a patient doesn’t seem to understand the message, the interpreter will let you know and try to clarify to the patient in-language. Don’t worry if this happens – it benefits all parties involved. Armed with these eight tips, your interpreter interactions should run smoothly. Try them out and tell us about your results using phone interpreters in healthcare. Learn more about how a quality interpretation service may improve the performance of your healthcare organization.